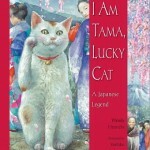 In anticipation of Lunar New Year (Monday, January 23rd), this week we will be reading a legend from Japan: I Am Tama, Lucky Cat by Wendy Henrichs. The story tells about the origins of the beckoning cat and how it came to be a symbol of good luck. 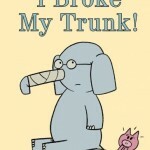 Grades K to 1 will be reading an Elephant & Piggie Book, I Broke My Trunk! This hilarious book by Mo Willems is the latest in the series.